How about a challenging Natural Movement workout to help you up your game? Here’s an advanced level MovNat Combo Workout, which will give you some ideas for finding movement opportunities in the environment around you. Note: All of these movements can be scaled to your level with a little imagination. As you can see, this workout involves many different movement skills: Crawling, Balancing, Climbing, Get Ups, Jumping, Vaulting, and Running. And the transitions between skills can happen very quickly. 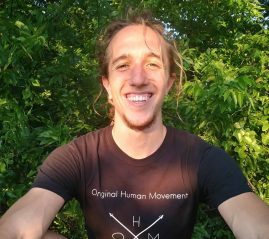 MovNat believes in building Natural Movement skills From The Ground Up. We take a Crawl – Walk – Run approach to practice. First, you master the basic level skills in a controlled environment, then more difficult ones. And eventually, you can combine those skills and/or bring your training into a more natural or challenging environment (i.e. outdoors). So, with practice, you can work up to advanced level combos like this one. And generally speaking, the more advanced the movement skill, the more benefits it provides – making these workouts super-effective for improving your fitness and capability. Plus, the more you master your movement, the more that your perception of your environment adapts, enabling you to get a good workout wherever you are. Note: If you enjoyed this post, please share it with your friends and sign up for our newsletter. Also, check out the MovNat Youtube channel for more Combo Workouts (for all skill levels). You can learn more about OHM here and follow on Facebook & Instagram. Want to Learn How to Move Like This? 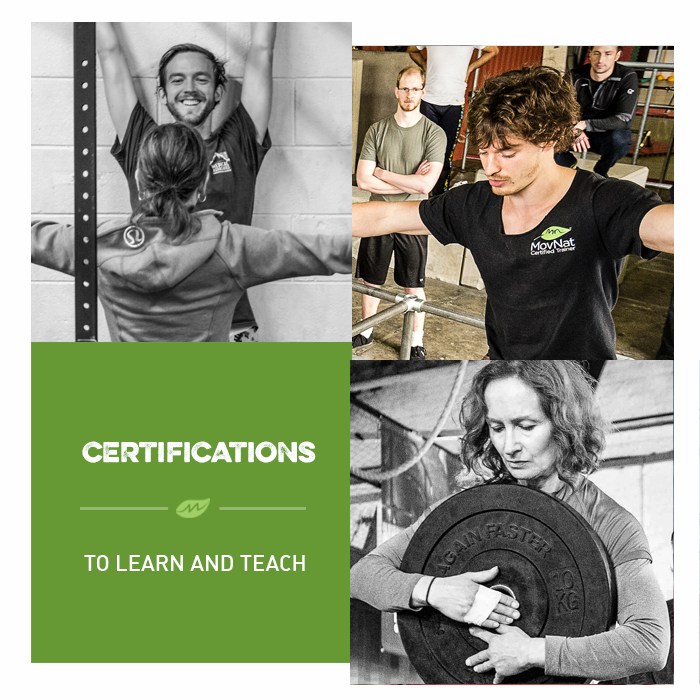 If you’d like to deepen your movement practice and learn more about Natural Movement Fitness, consider attending the MovNat Level 1 Certification or a MovNat Workshop. We hold events all around the world. Or, find a MovNat Certified Trainer or Gym in your area. We also offer MovNat Online Coaching as an alternative to live instruction.